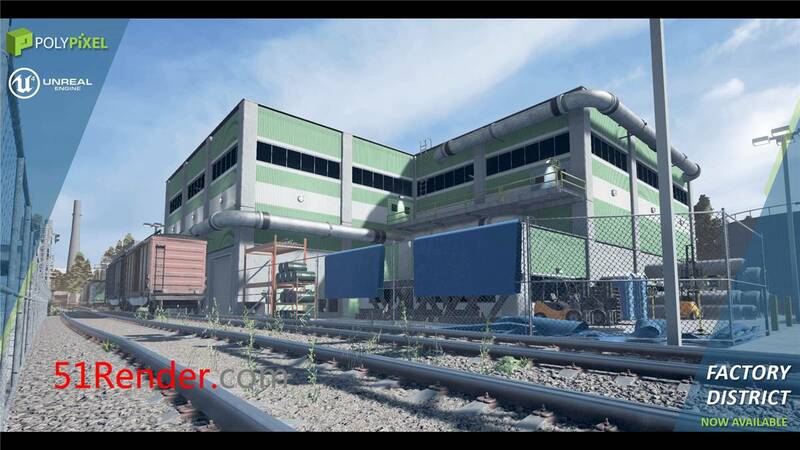 Factory District is a high quality environment pack with over 250 assets to create your own warehouse and train area level. Buildings are pre-made with full interiors that can be utilized as gameplay. 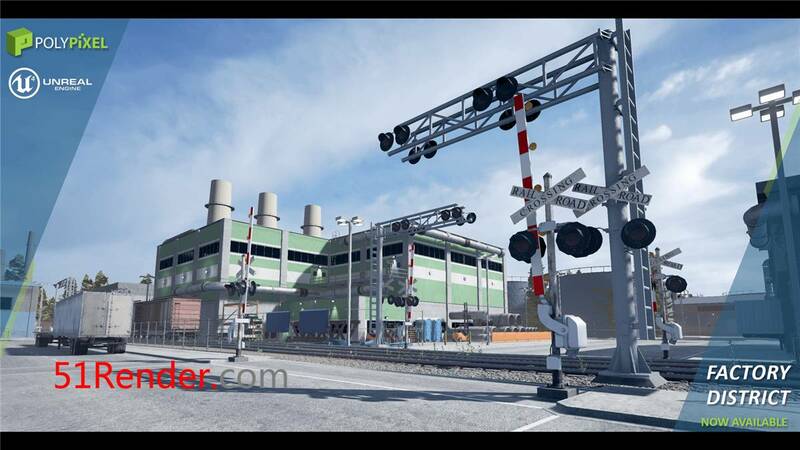 Populate your grungy factory district with over 150 props ranging from large vehicles, foliage, electrical parts, and train pieces.